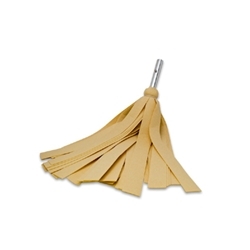 The Deluxe Water Sprite Mop is the most absorbent mop available. It's designed with 1 3/8" (35mm) wide strips that will never mold or mildew. It's ideal for drying and preventing water spots on those hard-to-reach areas like the roof and is compatible with any Shurhold handle.